• Multi-monitor Support: You can display uBar on any monitor, or all of them. • All Positions: uBar can be positioned on any side of the screen: bottom, left, right, or top. • Drag and Drop: Drag folders and files onto Apps to launch them. • Expandable Rows: Drag the edge to expand uBar up to five rows in height. • Window Grouping: Set window grouping to Always, Never, or Automatic. • Active Favorites: Add your favorite apps, folders, and files to the favorites area. • Window Previews: Hover the cursor over an app to see a visual preview of the windows within. 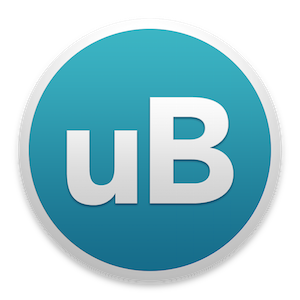 • uBar Menu: List Applications, System Preferences, and custom Apps and Folders. • Clock Area: The clock area displays the day, date, and time. • Hover Calendar: Hover over the clock area to display the Calendar. • Pinning: Pin or unpin uBar to any corner of the screen. Unpin all directions to make it float. • Timepieces: Display a built-in or custom dial above the calendar when hovering over the clock area. • Themes: System (i.e. Automatic), Light, Dark, Platinum Neue, Now Playing, or Custom. • Sizes: Set the size to Automatic, Small, Medium, Large, or Huge. • App Order: Show apps by Launch, Alphabetical, or Manual Order. They can be excluded as well. • Favorited folders can now be sorted by Name, Date Added/Modified/Created, or Kind (Suggested by John Muccigrosso). • App names can now be overridden in the Apps preference pane.